MILLIGAN COLLEGE, TN (Dec. 2, 2013) — Milligan College announces the appointment of Dr. Richard W. Phillips, president of Southern College of Optometry in Memphis, Tenn., and Thomas R. Banks, a third-generation attorney, to its Board of Trustees. The new trustees were approved at the board’s biannual meeting last month. Phillips, a 1974 Milligan alumnus, has served as the president of Southern College of Optometry since 2007. He is a trustee with the Southern Association of Colleges & Schools―Commission on Colleges (SACS-COC). In addition, he serves on the executive committee for Association of Schools & Colleges of Optometry (ASCO) and on the board of the Tennessee Independent Colleges and Universities Association (TICUA). Phillips graduated from Southern College of Optometry in 1978 and returned to the Johnson City, Tenn., area to practice. When he merged his Johnson City practice with David Wilson, M.D. in 1983, he became a member of the first OD/MD partnership in Tennessee. 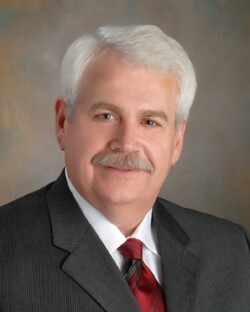 In 1996, Phillips joined the TriCities Laser Center, a subsidiary of TLC The Laser Center Inc., where he worked in several leadership roles over the years. After serving as regional executive director of TLC’s Tennessee operations, he was appointed president of Southern College of Optometry. Phillips’ family is strongly connected to Milligan. His father, Dr. Richard Phillips, is professor emeritus of religion at Milligan. His wife, Lucy, and son, Richard, are Milligan graduates, and his daughter, Sarah, is a current student. He currently serves as chairman of the board at Collierville Christian Church (Collierville, Tenn.). “The mission at Milligan College is crucial to developing Christian character along with the knowledge and skills necessary to survive in today’s world,” Phillips said. Banks, a 1984 Milligan alumnus, graduated from Harvard Law School in 1987. He is the third generation of his family to practice law; his father, Robert, and grandfather, K.P., also were attorneys in Carter County. 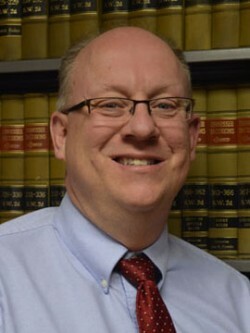 He has practiced in his family’s Elizabethton, Tenn., law firm, Banks & Banks, since October 1987. In addition, Banks served as a member of the Elizabethton City Council from 1989 to 1993. He also has served on the Hisportic Christian Mission Board, a ministry to evangelize Portuguese-speaking people by establishing churches and empowering pastors, for 15 years, including three years as chairman. He is a member of Hopwood Christian Church, where he is a deacon and has served four terms as board chairman. Banks’ appointment to the Milligan Board of Trustees carries on a family tradition of service to the college. His father was a member of Milligan’s board from the late 1950s, serving until the mid-1980s. In addition, Banks’ brother and law partner, John Banks, was a member of Milligan’s Board of Advisors from 1977-1986 and Board of Trustees from 1987-2012. Banks’ wife, Kathryn, is a Milligan alumna, and their three children, Emily Krug (’08), Abigail Banks (’10) and Daniel Banks (’12), are Milligan graduates. About Milligan’s Board of Trustees: Milligan’s Board of Trustees is currently composed of 27 active members whose combined experience, dedication, and vision provides leadership and guidance to shape Milligan’s goals, policies, and fiscal management. The Board is a self-perpetuating board, with members serving five-year terms. Alumni currently comprise approximately 70 percent of the Board membership. The President is a non-voting ex-officio member of the Board. The Board meets twice a year and has five standing committees. Posted by Milligan College on December 2, 2013.